Liverpool did their business early on during the January transfer window, bringing in Virgil van Dijk. But Philippe Coutinho’s £142million departure to Barcelona led to suggestions Liverpool would try and fast-track Keita’s move to Anfield. A deal was agreed with RB Leipzig for the midfielder to complete his transfer to Anfield at the end of this season but Liverpool tried to get a switch done sooner. The Bundesliga club were said to not be interested in entertaining the idea of Keita leaving halfway through the season. But The Times claim Leipzig would have strongly considered allowing Keita to leave on one condition. 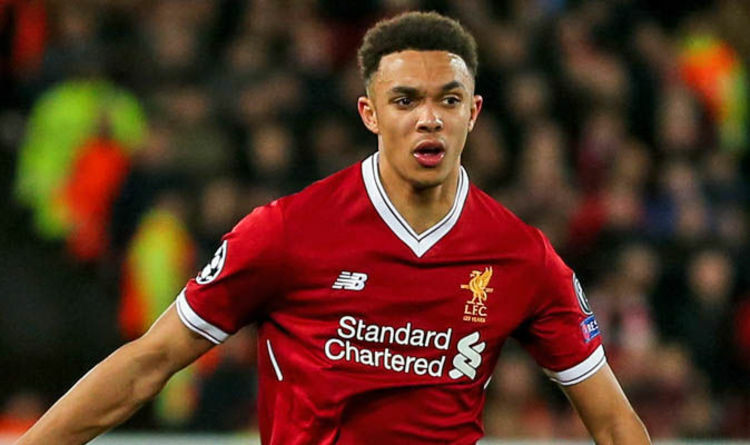 Their counter offer was for a deal involving Alexander-Arnold, but Liverpool rebuffed the idea. The right-back has come under some criticism in recent weeks with some of his mistakes proving costly at the back. But he proved any doubters wrong in Liverpool’s sensational 3-0 win over Manchester City in the Champions League on Wednesday night. Alexander-Arnold put in a man-of-the-mach display to nullify Leroy Sane’s threat and led to calls for him to be included in Gareth Southgate’s England squad for the World Cup. The 19-year-old has benefitted from Nathaniel Clyne’s length spell on the sidelines and has featured in 25 games across all competitions this season.